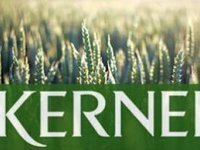 Kernel, a large Ukrainian agricultural group, has said that the decision of the Russian government to apply sanctions against the company would not have negative financial consequences for the company and would not affect its operations. "The sanctions imposed by the government of the Russian Federation dated November 1, 2018 in respect of individuals and legal entities of Ukraine... will not affect the activities of Kernel. The company owns an asset in the Russian Federation through a joint venture, but has not been operating in the Russian Federation for several years," the press service of the group told Interfax-Ukraine. As reported, on November 1 Prime Minister of Russia Dmitry Medvedev signed a decree on the introduction of special economic measures against individuals and legal entities of Ukraine. The sanctions will apply to 322 individuals and 68 legal entities. Kernel is the world's largest producer and exporter of sunflower oil, a leading producer and supplier of agricultural products from the Black Sea region to world markets with a land bank of 550,000 hectares.